I always like torchic and piplup. Awwwww! Triple Birds Starters! Torchic is my #1 Favourite Pokémon, Piplup is my first starter and Rowlet will be my Starter for Pokémon Sun! This art deserves a favourite! I don't like how torchic turns into a great big o' chicken hawk in the end. 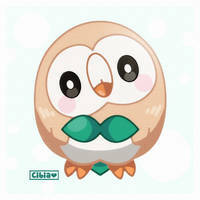 How cute <3 Torchic has always been my favorite pokemon.